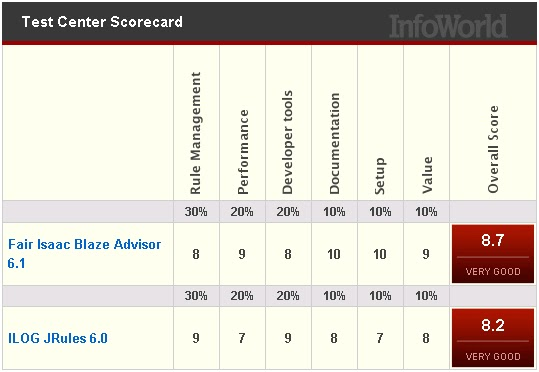 Blaze Advisor and JRules continue to lead the BRMS pack in features suitable for enterprises, and both should be on the consideration list for most enterprise deployments. If you need great reporting templates, maximum speed, and lots and lots of factory support, Blaze Advisor 6.1 is probably the answer. If rule building and rule management are more important than runtime performance -- if you need different views of the rules for different classes of users, or you want to customize the rule-building GUI and language for your business or industry -- then JRules may be the better choice. The pricing of the JRules starter pack, which includes unlimited use of BR Studio across the company, is also quite favorable.